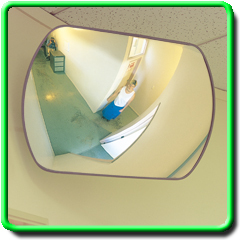 This rectangle shaped indoor safety mirror is ideal in buildings with low ceilings or where a more stylish and sleek looking mirror is required. With no back it is lightweight and easy to install. 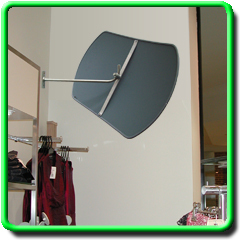 The Zinc plated J-Bracket is fully adjustable to any angle and looks smart in retail or office situations.